After a break, wood again begins to gradually gain a leading position in the market of materials for low-rise construction. The tree is eco-friendly and aesthetically attractive, but at the same time it has a number of disadvantages. In order to minimize the number of the latter, it is necessary to approach with all responsibility the choice of material for construction. 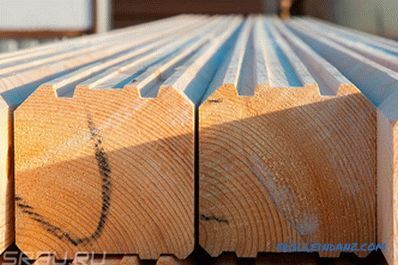 Today we will discuss three types of sawn timber used for the construction of wooden houses, namely: sawn (non-profiled) timber, solid profiled timber, glued profiled timber. The starting material for the manufacture of any timber is usually softwood (spruce, pine, larch, cedar). It would seem that if the starting point is one, then at the finish we should have something very similar. Then, in connection with which there are so many questions? What is better - ordinary timber or glued laminated timber? Are they really very different from each other, or is this some sort of another marketer ploy? To understand this, first you need to get at least a general idea of ​​what each of the types of timber in question represents. Sawn (cut, non-profiled) timber is the cheapest type of timber. The technology of its production is extremely simple. Four edges are cut from a log (in other words, side slabs are cut off), and as a result, a square (150 * 150 mm) or rectangular (150 * 200 mm) section bar is obtained. 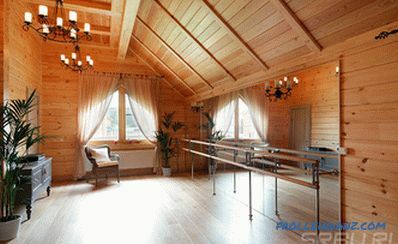 The standard material length is 3 or 6 m. Special non-profiled timber is not subjected to special drying. Preservation of the natural moisture of the material makes the process of its preparation as simple as possible, and the cost is low. 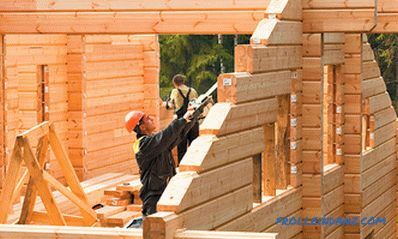 Previously, non-profiled timber was used in building houses quite often. Today, as a rule, resort to its use only in those cases when they want to save on the cost of the material. In general, the low price of the trimmed timber is almost its only advantage, but it has almost all the disadvantages inherent in wood. Profiled solid timber is a material worthy of attention. 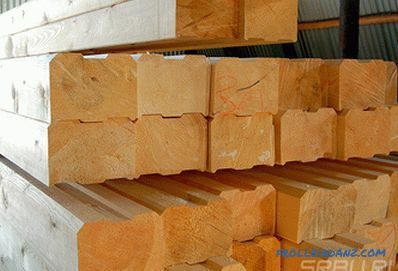 Due to the fact that it is devoid of a number of disadvantages of a trimmed (non-profiled) beam, and its price is not prohibitively high, the profiled timber is more often used in the construction of wooden houses. A profiled bar is produced in the factory where, using special equipment that ensures perfect geometry of the product and the accuracy of its linear dimensions, the log is curved on four sides, and then special locking joints are made in the resulting bar. At the output, we have a complex section profile, with an accuracy of up to a millimeter corresponding to the specified parameters. There are several types of castle connections, but the most common are Finnish (thorn groove) and German (comb) profiles. Due to the presence of spikes and grooves, two adjacent bars tightly fit together, leaving no gaps, and securely fixed. The house is going as a children's designer - quickly and easily. 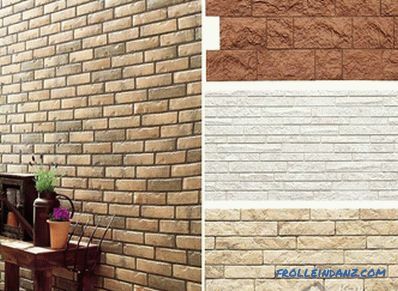 Its smooth and smooth walls look very beautiful. 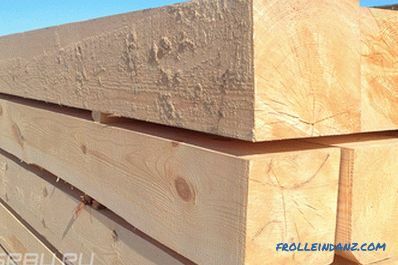 All of the profiled timber on the market is divided into two categories by humidity level. There are bar of natural moisture and drying chamber. High-quality chamber drying is not cheap, but the walls are not deformed, and the house practically does not shrink, which means that it can be occupied immediately upon completion. Profiled glued laminated timber according to its production technology is fundamentally different from the first two types of timber examined. The log is sawn into boards that pass through the stage of chamber drying, are treated with antiseptics and flame retardants, and then glued together using a special adhesive composition based on PVA. 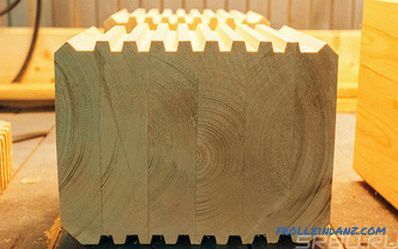 The resulting monolithic beam consists of boards of different thickness, and they are laid so that the direction of the fibers in each subsequent layer is changed to transverse. 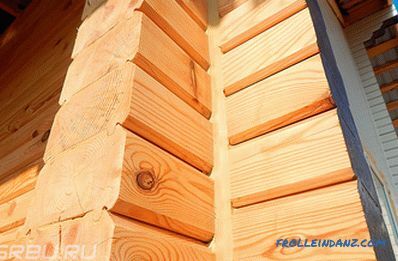 It is due to this multidirectionality of wood fibers in an array of glued laminated timber, it is stable to dampness and desiccation, does not deform over time, has a hardness increased by 50-70%, is not inferior in strength to bricks. The number of layers in the beam can vary from 2 to 5 - it all depends on the desired thickness of the final product. Finally, at the final stage of the process, the beam itself is cut out of the obtained laminated beam with jeweler precision with some type of lock joint. 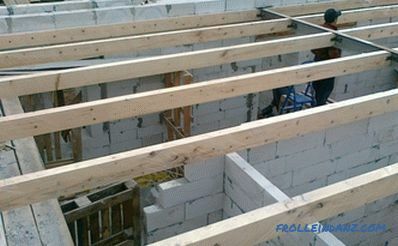 This smooth, durable and high-quality material can be successfully used in “fast” construction, since the structure erected from it does not shrink.Since this is a profiled bar, the house is assembled quickly, and the gaps between adjacent beams (and, consequently, the heat loss of the house) are minimal. Which timber is better for building a house in the country or building a country cottage? Each variety has its advantages and disadvantages, which affect the final cost of construction, strength and durability of the structure, the amount of work at the stage of construction of the house and during its subsequent operation, etc. Decide what is your highest priority, and then you will be able to choose the most suitable material for you. For most people, the financial side of a particular issue is usually paramount. And we will begin our review with consideration of precisely the price characteristics of different types of timber: what's the point of talking about the merits or shortcomings of building material, if it turns out to be simply not affordable for you. Cost and availability are the main advantages of an ordinary non-profiled bar. 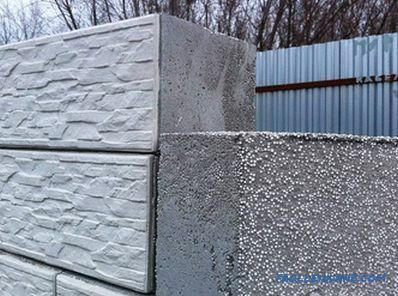 Buy this material is not difficult - you can find it on any market of building materials. 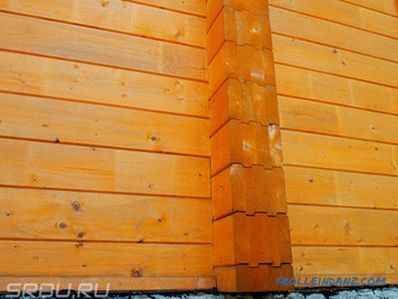 The average cost per cubic meter of trimmed timber varies from 5500 to 6500 rubles. Inexpensive, you say, multiplying these numbers by the amount of material you need? But do not forget that the built house will need to bring to mind, make it suitable for living. And here you will need new financial investments, and considerable ones. First, the geometry of a low-cut trimmed beam is very far from ideal. It is simply impossible to build walls from it without gaps. Hence the need for additional weatherization. Secondly, the cross-sectional dimensions of such a bar and the flatness of the saw cut strongly do not comply with GOST standards, because of which the walls of the building are uneven, large differences are observed in the arrangement of the crowns, the seams are located at different heights. In a word, such a house looks very clumsy, and in order to give it a complete look, additional external and internal finishing is required (usually walls are cladded with clapboard, blockhouse, etc.). 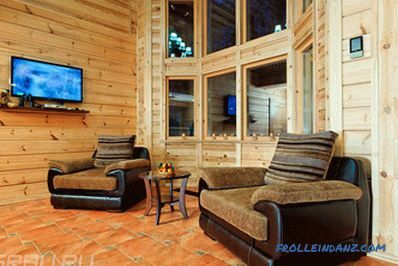 Log house from sawn timber. Estimated incremental cost? Still consider cutting timber a cheap material? Of course, you can minimize problems by choosing a bar of higher quality, but the cost of the latter may be close to the cost of a profiled bar. The price of a profiled bar that has undergone the chamber drying process ranges from 9,000 to 28,000 rubles. per cubic meter, depending on the type of wood (the most expensive material - from larch). Of course, you can try to save money and buy a bar of natural moisture, the price of which is one and a half times lower. However, by doing so you will lose many of the benefits of a profiled beam and acquire a lot of problems, the solution of which will result in a considerable amount. The construction of high-quality dry profiled timber has a neat, presentable appearance and does not need to be finished with facing material. Do not threaten you and serious additional work on the weatherization of the house. Glued laminated timber is a rather expensive material, and this is perhaps its main drawback. Its average cost is 25,000 rubles. per cubic meter. However, the additional costs of thermal insulation of the building or its exterior decoration will not be required from you. A house from glued laminated timber will cost you 2-2.5 times more expensive than the same project from a solid profiled timber and 3-4 times more expensive than a building from trimmed timber. However, in this case we are talking only about the cost of material. If we take into account the cost of additional work to bring the building to a state of fitness for living, then we can expect that the difference in the final cost of all three "huts" will be minimal. Modern developers use non-profiled timber less and less often. The reason lies in the excessive complexity of working with this material. Laying such a timber, even and so that there are no gaps, is quite difficult. On the construction of the frame does not end the work. Approximately in a year, when the process of shrinking of the building is finished, you will have to go through the labor-intensive stage of piercing the gaps and large cracks, as well as the obligatory decorative decoration of the walls, not only from the inside, but also from the outside. The frame of a house from a profiled bar is assembled quickly and easily - as a designer. However, if you decide to use a bar of natural moisture for construction, you will have to take a technological break for 10-12 months. During this time, the timber will dry, the construction will sit down, and it will be possible to begin the finishing work. The speed of erecting a house from glued laminated timber is even higher than from a regular profiled one, thanks to well-verified dimensions and well-fitted connecting elements.Shrinkage and shrinkage of the construction of laminated veneer lumber is minimal, which makes it possible to successfully apply this material for "fast" construction. It is easy and quick to build a house from a profiled bar, both ordinary and glued, which is not the case with the structures from a trimmed bar. No one will surely argue that the house should be warm and cozy. And warm not only in the figurative sense, but also in the direct. In Russia, where in most regions of winter winters are quite cold and even severe, the question of the heat-saving characteristics of buildings does not seem far-fetched. What is better - glued laminated timber or profiled - from this point of view? Which one is better able to retain heat, guaranteeing the absence of drafts? There will be many gaps in the walls of a non-profiled timber house due to the lack of the last groove and spikes. Shrinkage of the building will greatly aggravate this problem. Of course, when building a house from a trimmed timber, all the cracks are necessarily filled with jute, but in most cases this is not enough. Without additional high-quality wall insulation, few people would risk wintering in such a hut blown by all winds. The use of a profiled bar in construction allows you to avoid cracks, which means that the walls will have a minimum of ventilation. Such a house will be warm enough, but in order to securely protect its future residents from winter frosts, the seams between the joints of the beam are reliably sealed with a heater made of a special material, the consumption of which, however, is minimal. 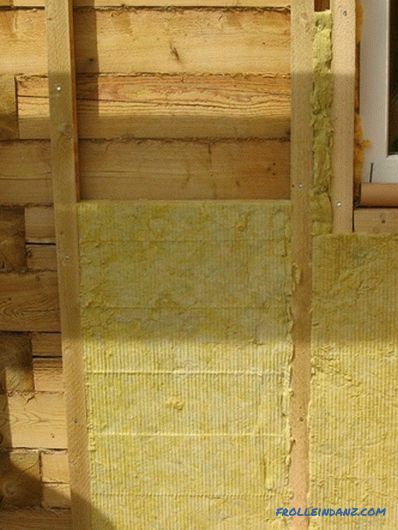 Glued laminated timber has the best thermal insulation qualities. The gaps between the profiles in this case are minimal, and, consequently, the heat loss is lower. Timber can be laid even without insulation. However, experienced builders do not neglect this stage here either. Glued laminated timber has the best thermal insulation qualities. In the case of laminated veneer lumber there is an opportunity to choose a material of such thickness, at which additional insulation is not needed. But it all depends on the region of construction, sometimes even glued laminated timber requires insulation. The house, built from a trimmed timber, in practice turns out to be the most flushed, and if you do not make additional insulation, it will be very cold in the winter. Home is, above all, a place where we feel completely safe. And in this case, it is not only that the house should be strong enough and reliable, so that we can not be afraid of the visit of uninvited guests or raging elements. Being in our own walls, we should not fear for our own health. Wood has always been and still remains a symbol of environmental friendliness. It is quite predictable that, from the point of view of environmental safety, homes that are built from trimmed or profiled timber will be out of competition. The ventilation of such a house is natural (provided that natural sealing materials are used, for example, jute), it is very easy to breathe in it, and the humidity in the room will always be optimal. The use of laminated veneer lumber in the construction of residential buildings gives rise to a great deal of controversy and discussion. First, glue is used in the production of such a bar. 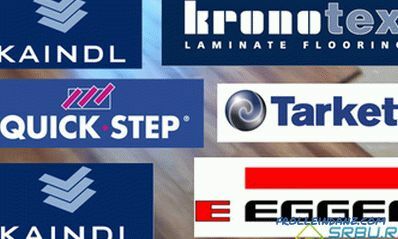 As a rule, for these purposes, adhesive compositions based on PVA are used, which, unlike phenol-formaldehyde resins used in the manufacture of wood-based panels, is considered harmless to health and the environment. Despite the fact that the adhesives used meet various standards, such a bar from the point of view of environmental friendliness loses to the usual one, in which there are no adhesives of any kind in principle. In addition, it would not be superfluous to ask yourself a question: are you sure that the manufacturer of the bar, the batch of which you are going to buy, for the sake of cheapening / speeding up the process didn’t violate the technology? impregnated with various antiseptic, insecticidal, fire retardant and other compounds. Of course, the walls of a house built even from a trimmed or profiled bar, you have to handle these protective impregnations in order to prevent its premature destruction as a result of exposure to adverse external factors. However, there you will apply protective compounds for the most part on the outer walls, and here the timber is saturated with them in its entirety. 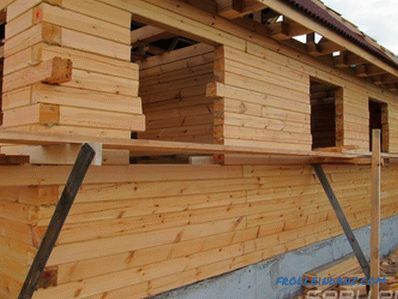 Thirdly, due to the tight joining of the beams and the absence of gaps between them, due to the multidirectional arrangement of wooden fibers and the use of glue, natural air exchange in the house of laminated timber is disturbed, the vapor permeability of the walls is reduced. To improve the indoor microclimate, it is necessary to equip the house with wall inlet valves or a forced ventilation system. In a word, despite the conformity of glued timber to European standards and Russian State Standards, there is still room for doubt.If your family has small children, allergies, asthmatics, people with other chronic diseases, give preference to a trimmed bar or profiled bar, which is definitely better in terms of cleanliness of the air inside the house. Trimmed and profiled beam lead in the list of environmentally friendly materials. There are a lot of complaints about the laminated timber in this regard. Natural factors, primarily precipitation, solar radiation, seasonal temperature fluctuations, have a detrimental effect on the condition of the wood. Preventing decay, fungus or mold, reduce the attractiveness of wood for insects and rodents, reduce the likelihood of a fire, etc. Regular treatment of wooden walls with antiseptics, fire retardants, insecticides and other protective impregnations will help. Wood care takes a lot of time and effort, so I want to choose a material that does not require too frequent intervention from you. 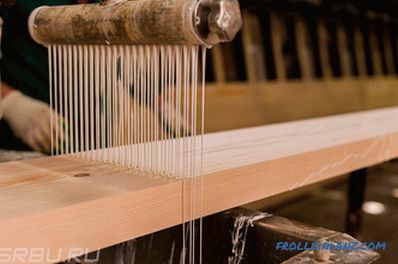 A non-profiled bar at the preparation stage does not undergo special drying, which means that the probability of wood damage by a fungus is quite large (according to expert estimates, about 15% of the material sold has this problem). In addition, as a result of the natural shrinkage of the timber and shrinkage of the construction of it, the wood cracks and the gaps between the crowns increase, which among other things leads to a decrease in the insulation of the house. This means that after some time you will have to perform a repeated caulking gap, and fill the cracks in the wood, for example, with sealant. When using a profiled bar for construction, many problems can be avoided. The walls in this case are very smooth, the profiles are as close as possible to each other, the structure shrinks slightly. From all this it follows that the probability of the formation of cracks is reduced to almost zero, which means that water does not enter the inside of the wall, and material rot from the inside is excluded. However, wood remains wood, and without treatment with antiseptics, insecticides, fire retardants, wait for mold, fungus, invasion of the grinder beetle or (God forbid, of course) a fire. 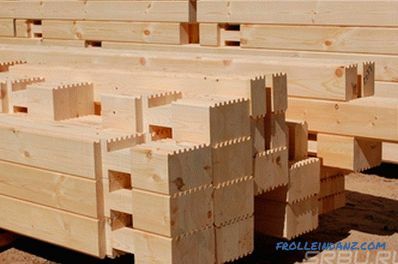 Many of the problems listed above are not familiar to owners of laminated lumber houses, and all this is due to the optimum moisture content of the material and its impregnation with special compounds at the manufacturing stage. Glued laminated timber is almost not deformed and does not rot. Even this kind of wood burns much worse than normal. A house built of glued lumber for many years will delight the eye with its presentable appearance. Maintenance facilities will be reduced mainly to checking the condition of the timber. You will have to process wood with special compositions to prevent the negative impact of external factors much less often than in the first two cases. Periodic treatments with special protective compounds are necessary for all types of timber. But cut or profiled timber will require more frequent intervention from you than glued. The appearance of the edged (non-profiled) timber structure is more than unpresentable. The seams resulting from the imperfect adherence of the wooden elements to each other, and the insulation in them are striking. In addition, noticeable cracks appear in the wall as the walls shrink and shrink. The only way to conceal a similar, somewhat unattractive picture that spoils the exterior of the house is to add additional decoration to the walls, not only internal, but also external. Start finishing should be no earlier than one year, when the shrinkage of the house ends. Profiled timber is more aesthetic. Presentable and neat appearance of the walls erected from it nullifies the need for additional finishing with facing materials. Even homeowners refuse to decorate walls (for example, paintwork), since wood, being a natural material, is in itself very beautiful (of course, provided that its surface is perfectly flat and smooth). However, in a solid solid wood (and profiled timber is not an exception) over time, the appearance of cracks. This means that in a few years you may want to cover the inner surfaces of the walls with some facing material. Due to the peculiarities of the production technology, glued laminated timber is free from many of the drawbacks of wood. The house will not lose its presentable appearance even through the years. In contrast to a solid profiled beam, glued is not subject to cracking during operation. Its ideal surface does not need any additional processing, including lining with finishing materials. The use of profiled, and even more so, of laminated veneer lumber for construction, eliminates the time-consuming and expensive stage of finishing work. The cut timber, alas, turned out to be an outsider in this "beauty contest." Having spent a lot of effort on building and making serious financial investments, we, of course, want the new house to stand as long as possible. What material to choose in order to serve the house not only to us and our children, but also to grandchildren, and maybe even great-grandchildren? , and from glued - even up to 150. Here follows a quite reasonable reservation: the preparation of the material, the construction of the house and its maintenance during the operation must be carried out technologically correctly. For non-profiled timber it is characteristic of increased cracking in the process of drying wood and house shrinkage (the latter is on average 5-7%). Due to the presence of stresses arising in the process of shrinkage, the bar "leads". Defects formed during the shrinkage of the building, not only worsen the appearance of the house, but also reduce its thermal performance. In addition, any crack is a place of accumulation of rainwater, the subsequent growth of colonies of microorganisms and, as a consequence, the acceleration of the processes of decay of wood. The profiled bar, manufactured in the factory, is perfectly flat and durable, the beams fit snugly together. The structure assembled from such a bar will be strong enough, and its shrinkage is minimal and uniform. However, such a result can be obtained only under the condition that the timber is well dried, otherwise the building is threatened with deformation and large shrinkage. Unfortunately, some unscrupulous manufacturers often violate the technology of drying, and if you inadvertently acquire such poor-quality material, your house will lead with time. Glued lumber is practically not deformed, the shrinkage of structures from it, as a rule, does not exceed 1-2%. In addition, at the manufacturing stage, glued laminated timber is treated with special substances, due to which it loses its inherent flaws: such material does not rot and does not burn. Taking into account all these factors, it is possible to foresee an increase in the service life of the laminated timber construction. A cut timber house will last at least 50 years. The service life of the building of profiled timber twice, and of glued three times more.